Kolkata: It’s just a week for Aparnaa Singh’s directorial debut Irada to release. Her schedule is chock-a-bloc, but that doesn’t stop her from taking out some time to talk exclusively to eNewsroom, about her directing Naseeruddin Shah and Arshad Warsi for her big Bollywood break. Following are excerpts from a freewheeling chat with her. eN: Why did you choose a film like Irada to be your Bollywood debut, as a director? Aparnaa: I have always been part of films that are thought provoking, be it co-scripting for Anuraag Kashyap’s Gulaal or doing the research for Black Friday. So, choosing Irada, as my directorial debut for Hindi mainstream cinema, is just an extension of my choice of doing films that connects with the audience and educates them and yet not preaches. The film belongs to the noir thriller genre, with a strong resonance of environmental terrorism that we experience daily. We all know what’s happening to Punjab. It was the centre of green movement and look where it is today. It’s now a cancer belt. The crop it produces are often are labelled as food items than can cause cancer. It’s scary, isn’t it we all have rice grown in Punjab. There was a need to make a film like this, which would wake us up to certain extent. However, it’s not a gory dark film. It has a lot more to it. It’s a perfect balance between facts and drama. It has a lot to do with water. eN: Well, was the Bhopal Gas Tragedy, on your mind when you were scripting the film? Aparnaa: Well, definitely. Given the fact that I hail from Jabalpur, Madhya Pradesh and have spent considerable amount of time in Bhopal, so somewhere deep down it was on my mind while scripting the film. You, know the Badi Talaab of Bhopal, is a very popular place, where people assemble late in the evening, catching up with friends, indulging in a bit of the delicious roadside food available round the clock. However, if you think deeply, the truth is that there is something poisonous about that water, post Bhopal Gas Tragedy (BGT). No matter what the Union Carbide officials say, some amount of toxicity has definitely seeped down the soil, into the water. The changes that it (BGT) has brought about to the ecosystem of Bhopal will remain irreversible. eN: How difficult was it for you to co-script this film? Aparnaa: To dish this story as a palatable one, which could entertain and educate the audience at the same time, was indeed a difficult task. To be honest this was the most difficult story to script. eN: What was it like directing Naseerudin Shah? Aparnaa: It was an experience, rather a dream come true for me. No other could have done justice to the character he plays in the film. He has reached such a state, where he gives the perfect shot, even without having to give an extra effort. eN: Your first shot with him? Aparnaa: I went to his van to discuss the scene with it, as that’s the norm while shooting. 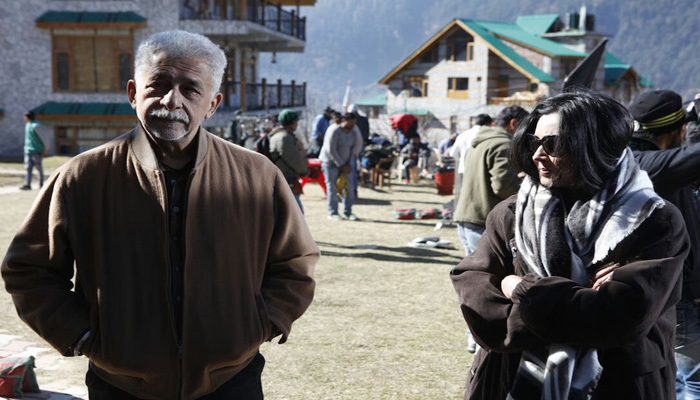 He made the environment so conducive that I forgot that I was talking to “the Naseeruddin Shah”. He listened to me, gave his inputs. Indeed it was a great learning experience for me. eN: What was it like working with Naseeruddin Shah and Arshad Warsi, together? Aparnaa: Both are legends in their own right. Their performances are powerful and when they work together, its sheer magic. I mean, they share a great onscreen chemistry. While Naseer saab, gets into his character the moment you say “action”. Arshad sir, is more spontaneous. He is so amazing and also helps in improvising the shots. It was a learning experience for me to have directed them together in a single film. eN: What genre of films do you enjoy, personally? 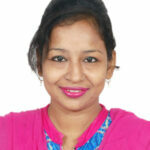 Aparnaa: It’s drama, thrillers and really emotional stories that appeal to me. I also like films that have been researched well. eN: Given that, you have worked with exceptionally good filmmakers, Anurag Kashyap and Tigmanshu Dhulia. Are you influenced by them? Aparnaa: Well, I have learnt so much from Anuraag and Tigmanshu. They are quite knowledgeable and well-read. They are the finest that we have today. So, yes, they definitely are the torch bearers for me.